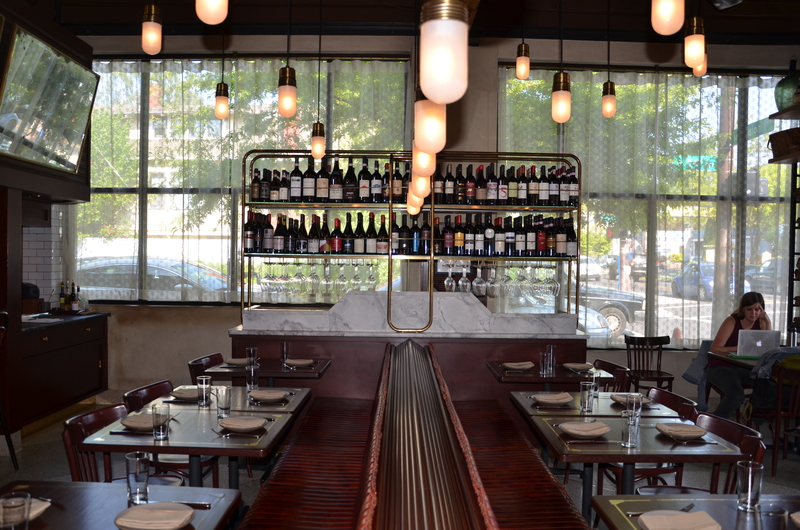 In our last downtown bracket the charming St. Honore is up against the swanky Driftwood Room. Whose design details would you steal in our Steal this Idea! Summer Design Contest? Read on. Complete and submit a bracket by June 30th. Click here for more information and contest rules. 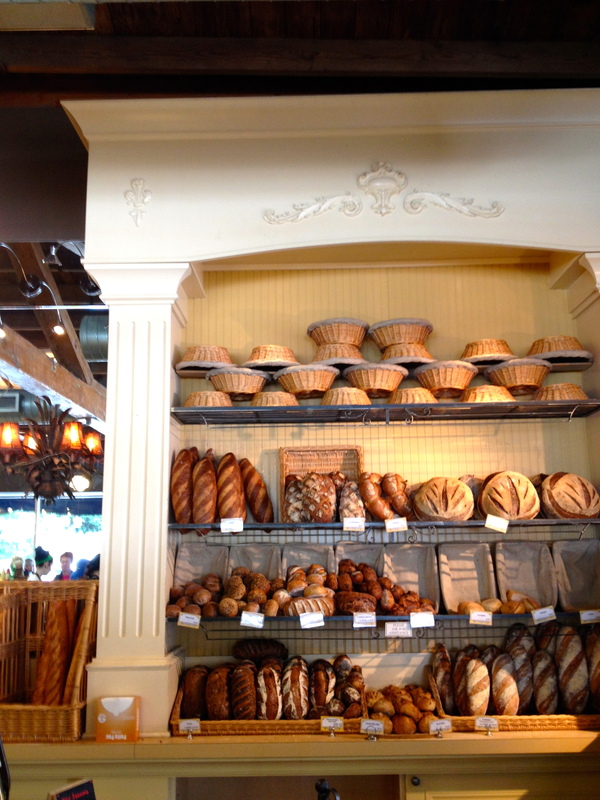 This cozy, rustic boulangerie exudes the old-world charms of France. 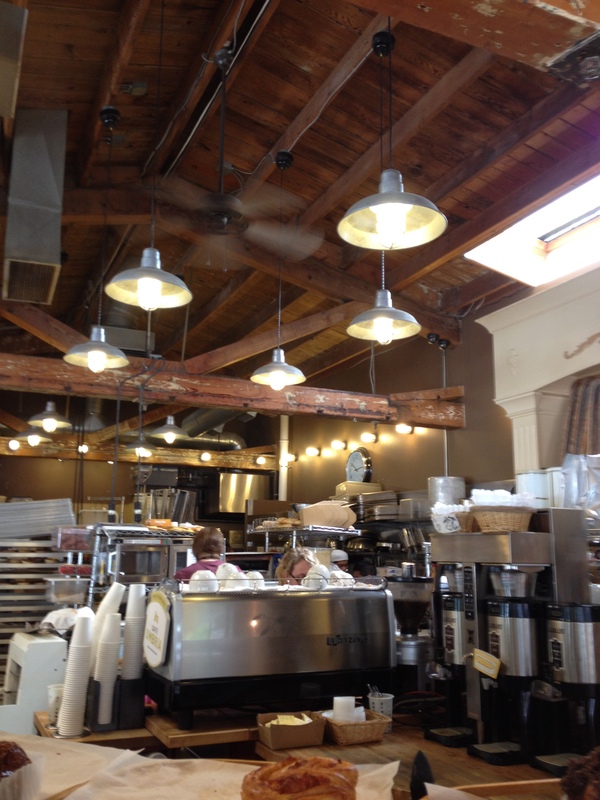 We love the way these rustic pendants complement the exposed beams. 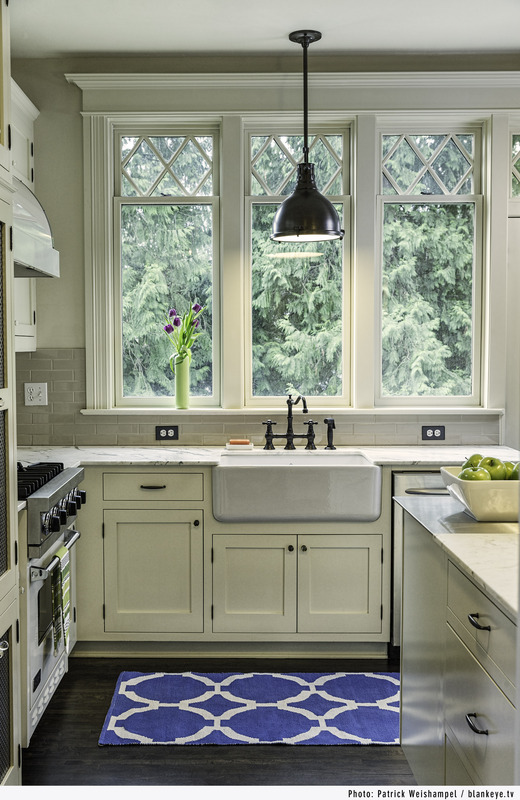 The industrial pendant in this sleek kitchen adds a rustic touch. Design by Anne De Wolf. 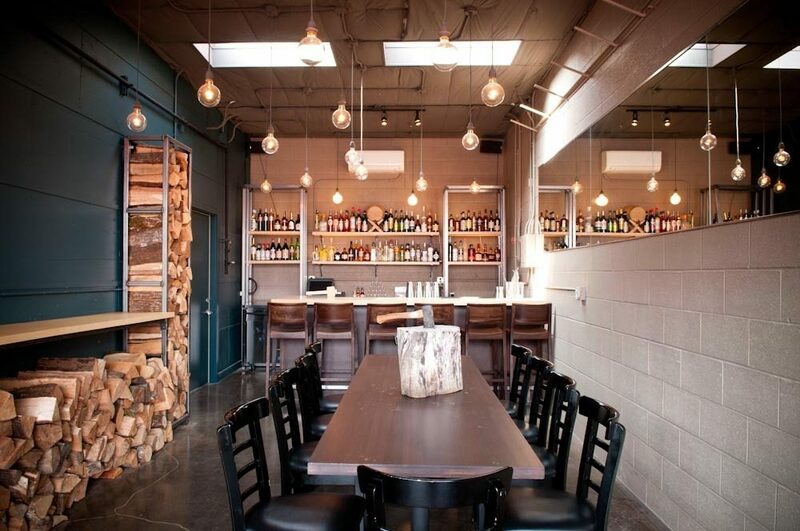 Some of our favorite industrial pendants can be found at Restoration Hardware and Schoolhouse Electric Co. Decorative appliques draw your eye to the fine details on this built-in piece. 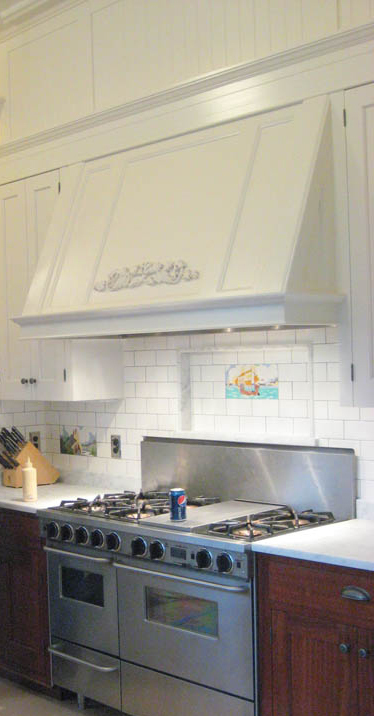 The decorative applique on this hood-vent creates a point of interest. Design by Anne De Wolf. With over 200 options, Van Dyke’s Restorers is a great option for hand-carved appliques. 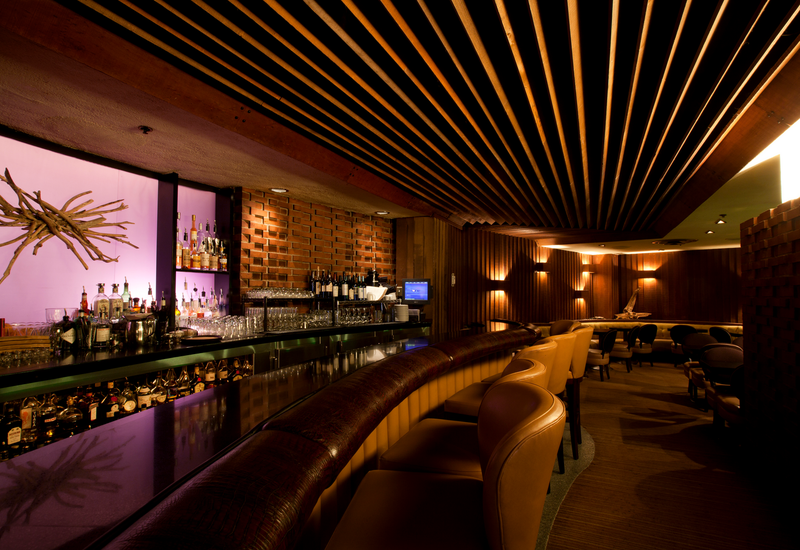 This swanky mid-century cocktail lounge in the Hotel deLuxe is known for their champagne cocktails and actor-named martinis. We like these exposed beams because they make the space classy and sophisticated. These striking mahogany ceiling spines are original to the home. Design by Anne De Wolf. 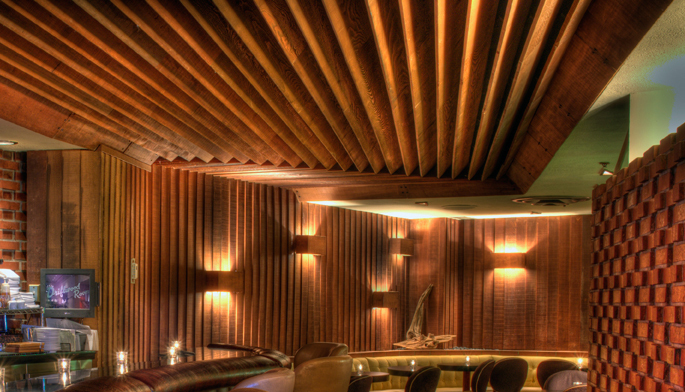 Wood paneling doesn’t have to be an eye-sore. 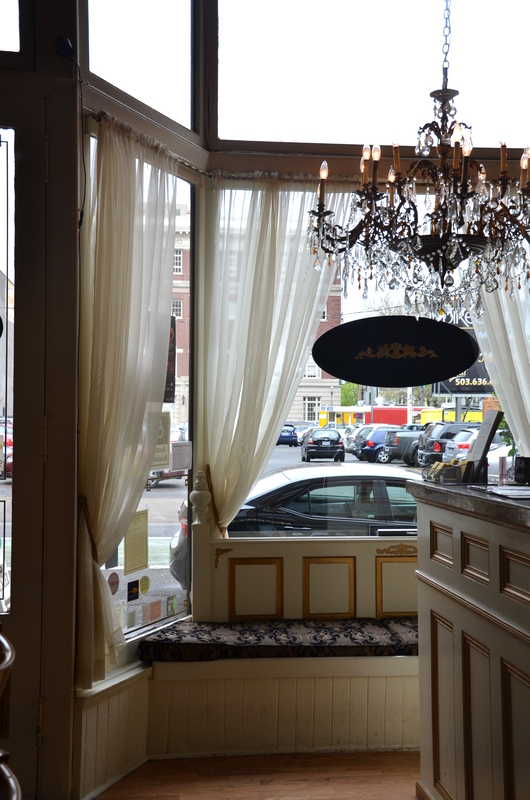 This vertical paneling adds a sense of romance and class to the space. 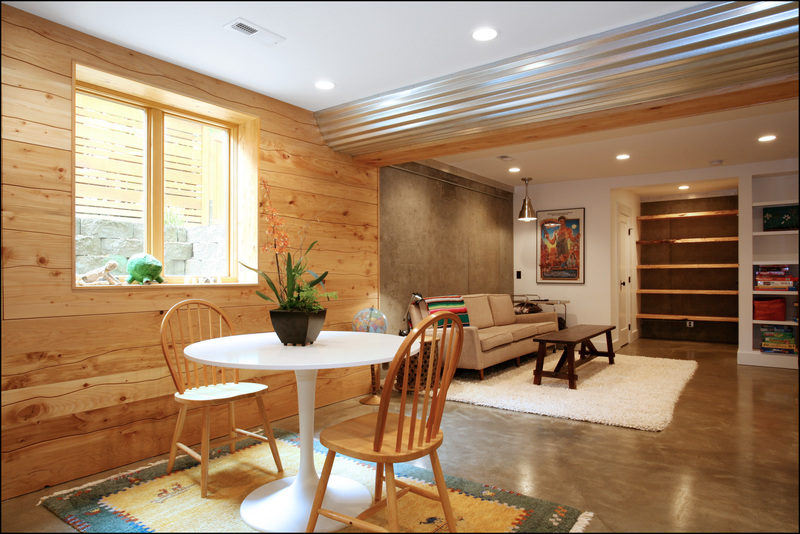 This custom-milled and routed paneling gives the basement a loft-like feel. Design by Anne De Wolf. Which style gets your vote? Pick one and tell us in the comments! 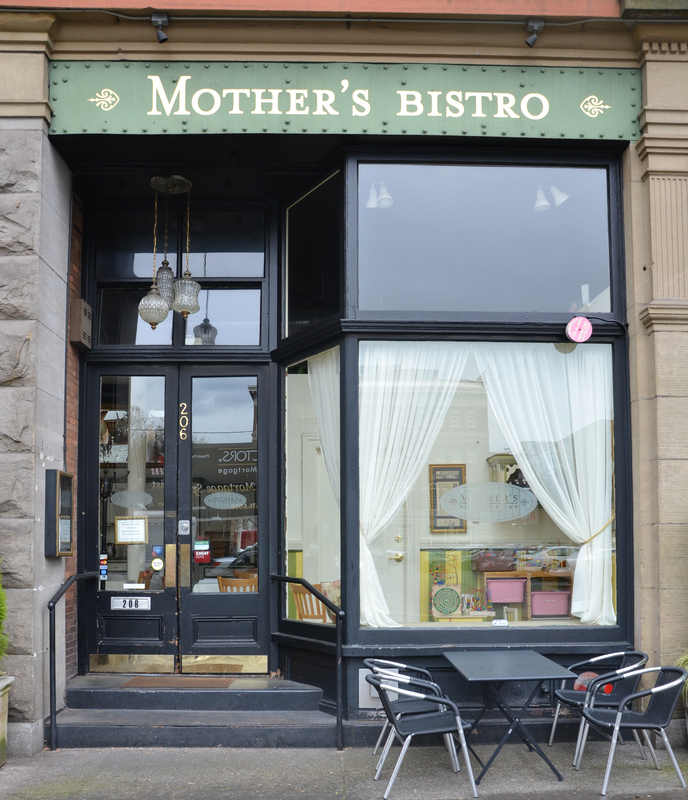 Up next in the ring, the classy and charming Mother’s Bistro is ready to take on the romantic and sophisticated Hubers Cafe. Whose design details would you steal in our Steal this Idea! Summer Design Contest? Read on. 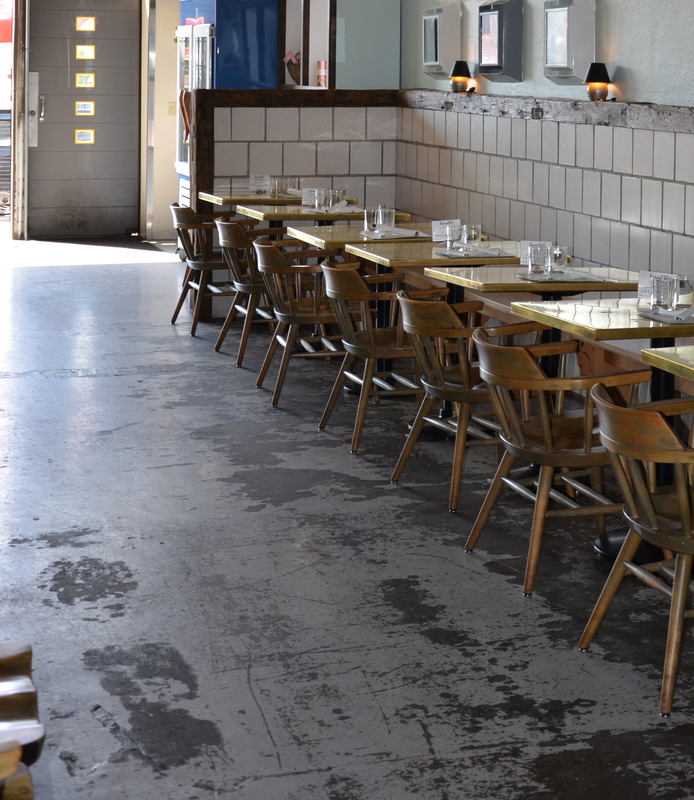 This homey cafe and bar with country-chic decor specializes in hearty comfort-food classics. 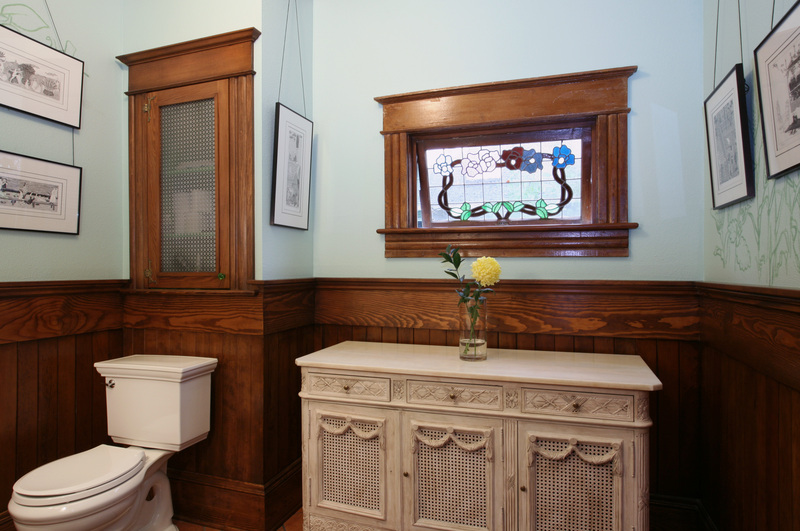 Whether a dining space or bathroom, wainscoting adds a new dimensionality and texture to a space. Wainscoting adds charm to any room. Design by Anne De Wolf. Find the wainscoting that fits your style at Pioneer Millworks or McCoy Millwork. Wallpaper can be an alternative to paint, or an addition. We love this bold design complemented by dark wainscoting and gold accessories. 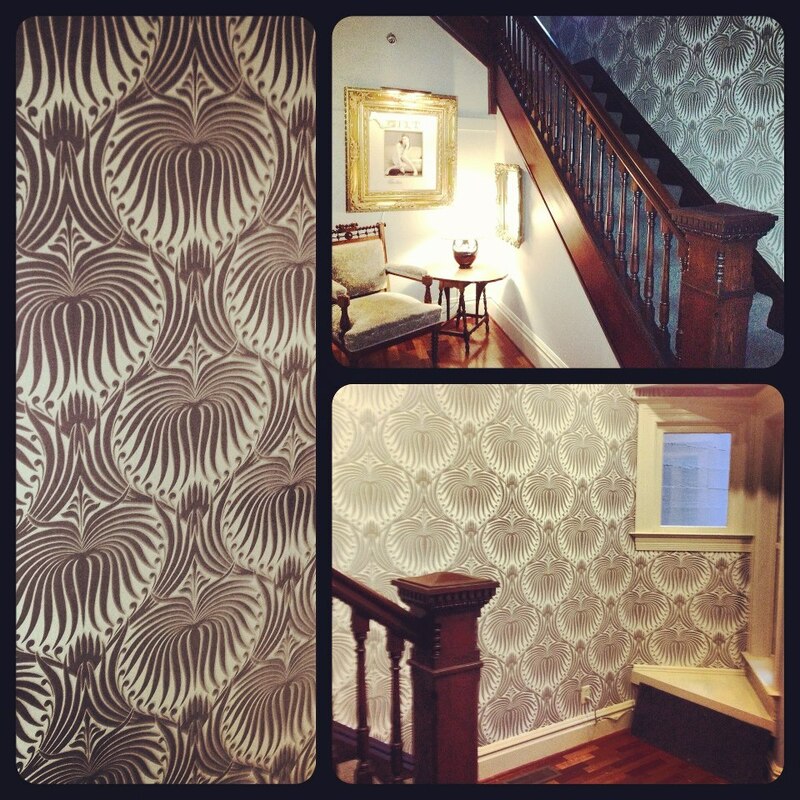 This Arciform client made a statement with a bold yet sophisticated wallpaper at her entryway. Design by Kristyn Bester. Whether you’re looking for a subtle design or something funky, Farrow & Ball and Miller Paint have you covered. 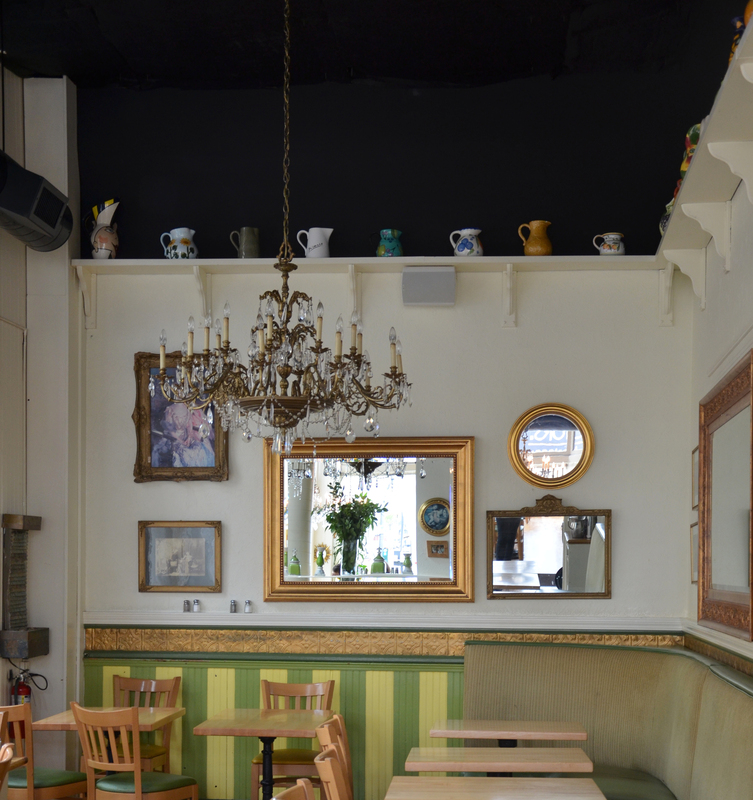 We love these high shelves throughout the bistro, great for storing treasures that shouldn’t be touched! 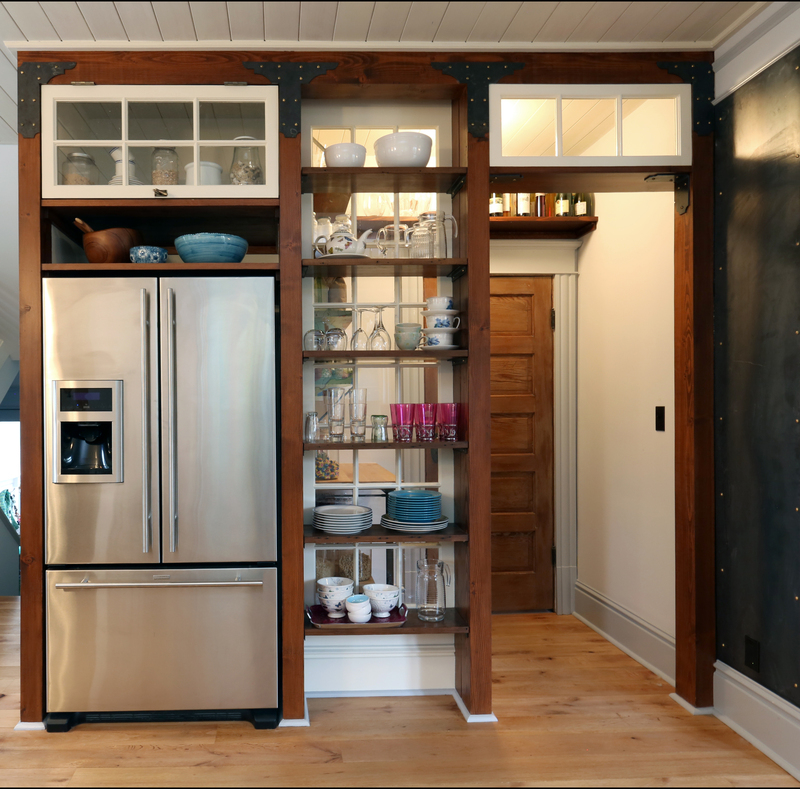 The high shelving in this historic kitchen provides a perfect place to display special items and mimics the millwork. Design by Anne De Wolf. House of Antique Hardware has great shelving bracket options and McCoy Millwork can supply you with the perfect molding option. 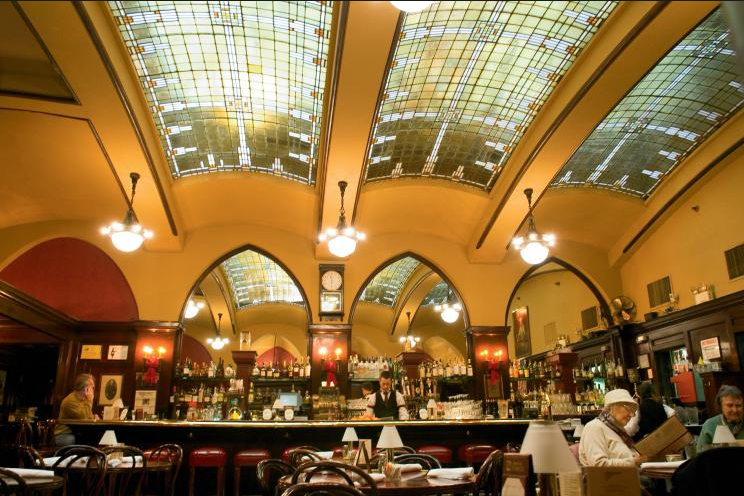 Known for their turkey dinners, this 1879 establishment is Portland’s oldest restaurant! 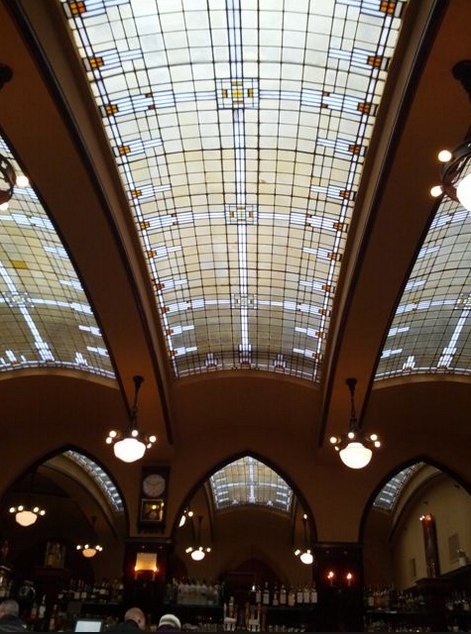 The arched stained glass is not only breathtaking, but unique and we love it! 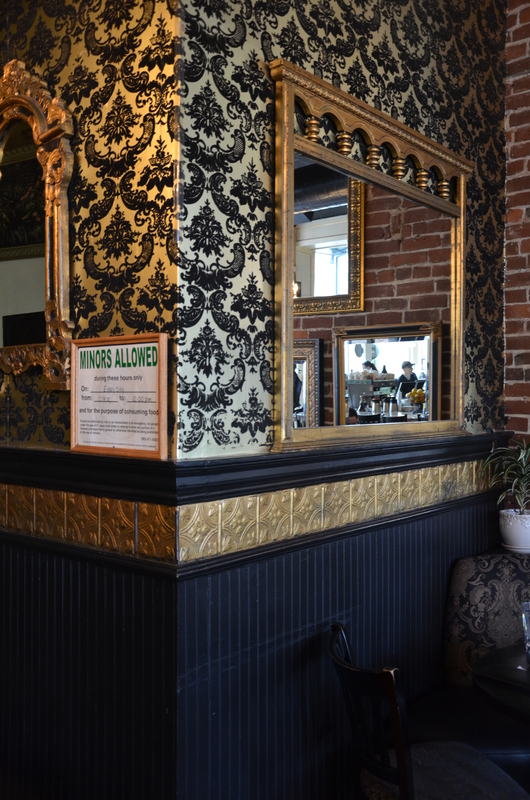 These dark framed Gothic arch mirrors are romantic and classy. 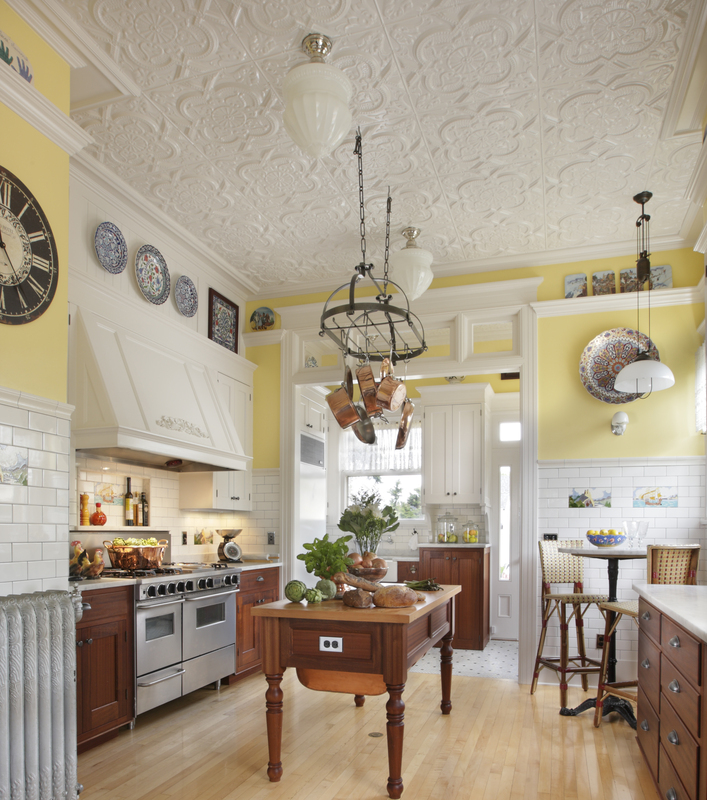 This eclectic kitchen incorporated a Gothic arch and stained glass window. Design by Anne De Wolf. 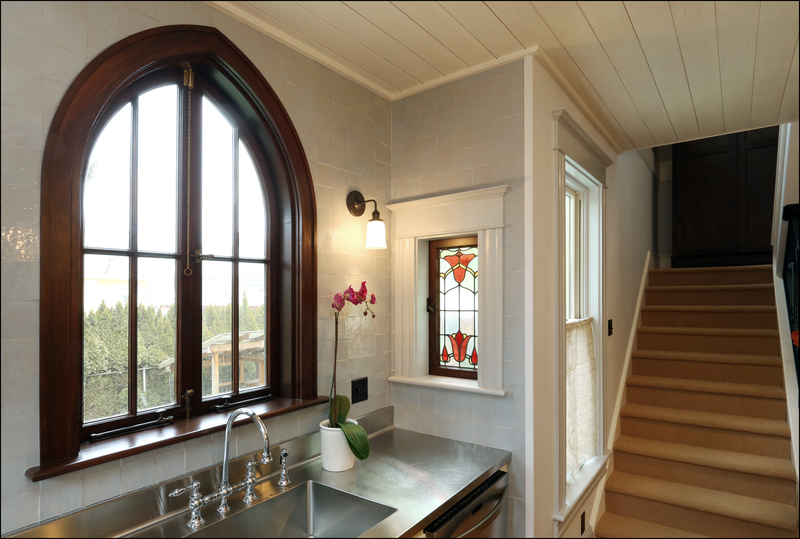 The above Gothic arch window was custom made by Versatile Wood Products. There are a few good options in Portland for salvaged stained glass: The ReBuilding Center, Habitat for Humanity’s ReStore, Old Portland Hardware & Architectural and Chuck Franklin Glass Studio. These dark wood paneled walls are dramatic and a perfect way to balance the tall ceilings. The wood paneled walls in this roomy bathroom tie in with the window framing. Design by Anne De Wolf. For all of your paneling needs, McCoy Millwork or Pioneer Millworks are great sources. Time to vote: tell us which style you’d choose. Pick one and tell us in the comments! Up next in our Steal this Idea! Summer Design Contest, Sweedeedee’s simple charms sidle up against the sophisticated swagger of Expatriate. Whose design details would you steal? Read on. 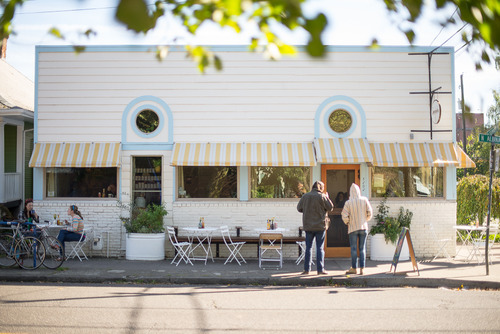 This cozy cafe serves up home-style breakfast and lunch in the Humboldt neighborhood. 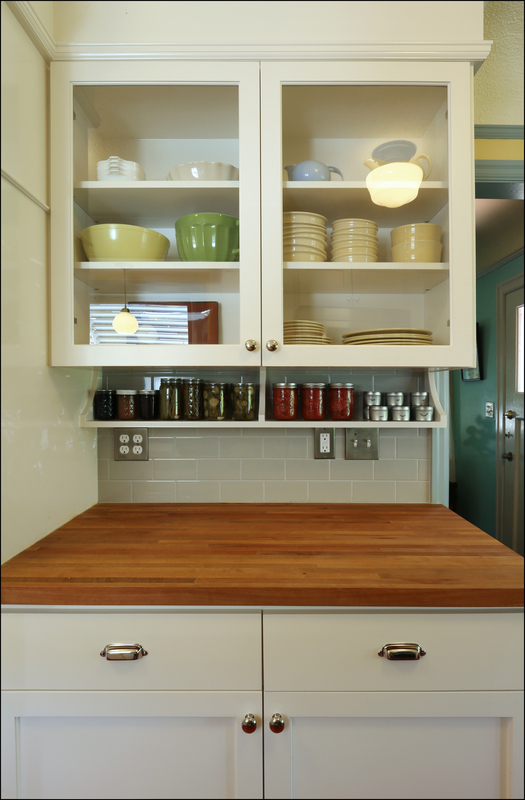 A butcher block counter, whether throughout your kitchen or just a part, adds warmth and natural tones to the space. 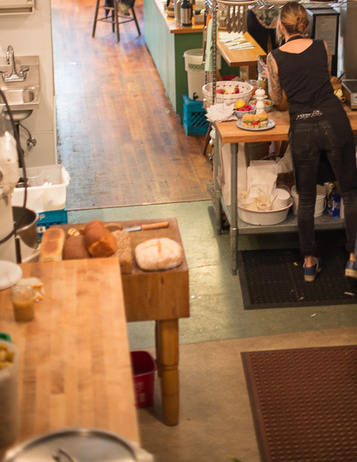 The butcher block counter at this prep area pops against the white cabinetry. 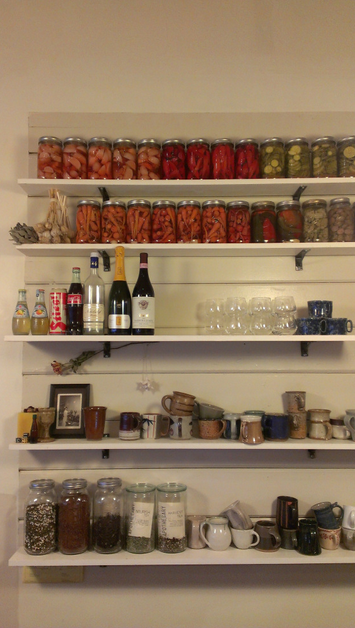 Ideal space for canning as it’s a softer surface for glass jars. Design by Chelly Wentworth. 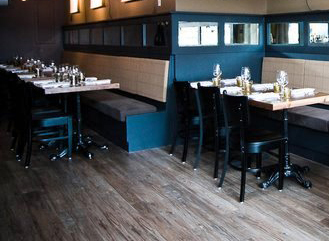 Versatile Wood Products is a great place to have a custom butcher block counter made. 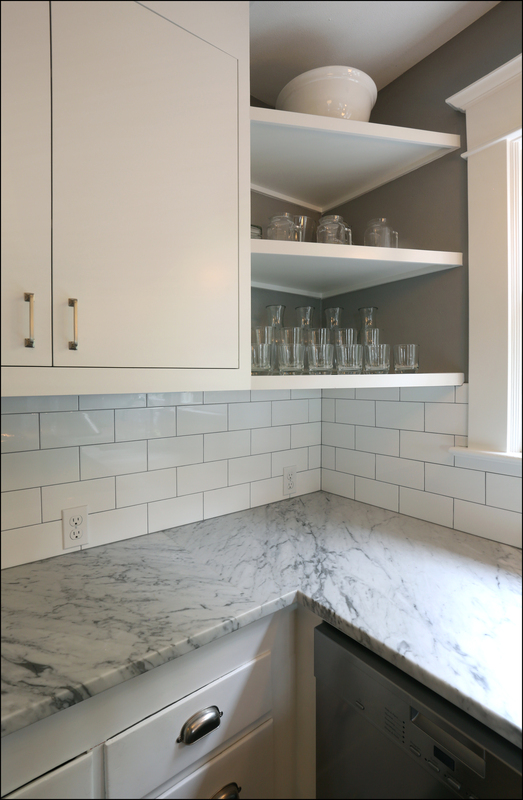 Open shelving can be a great way to add color and personality to your kitchen that can be changed up by simply adding or removing items. Salvaged or unique shelving brackets also add a point of interest. Designed to look like a storefront, this pantry utilizes opening shelving to store colorful and interesting items. Design by Anne De Wolf. Open shelving is another project that Versatile Wood Products can tackle. For unique brackets, we typically turn to House of Antique Hardware. 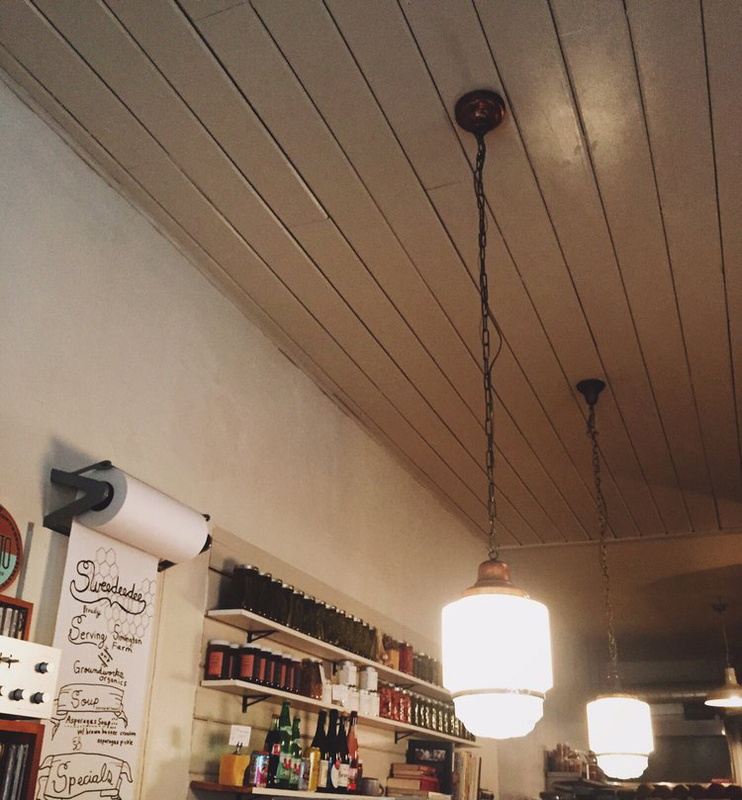 To get that rustic vibe, add some wood paneling to your ceiling and paint it white. By painting a wood paneled ceiling white, another dimension is added to the room. Design by Anne De Wolf. 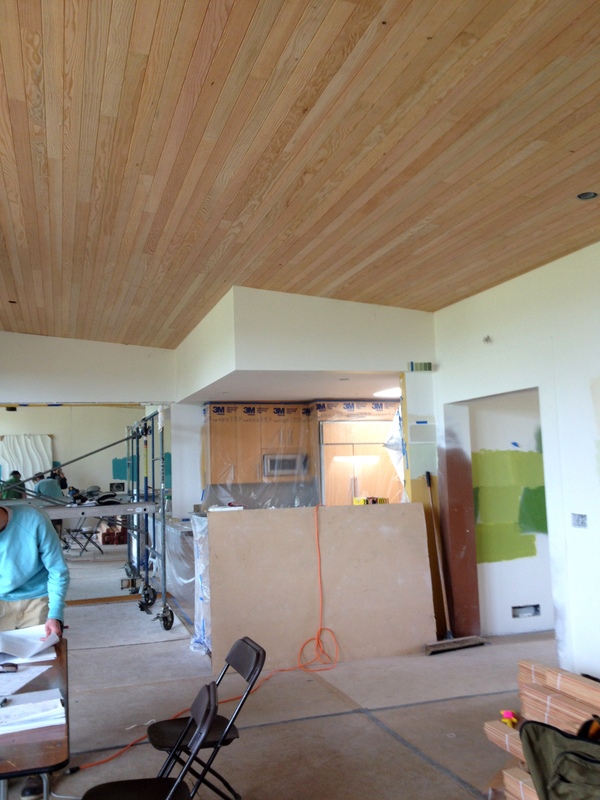 Wood paneling can be a DIY project, purchasing lumber and fixing it to the ceiling, or you can purchase sheet paneling from places like McCoy Millwork or The Home Depot. 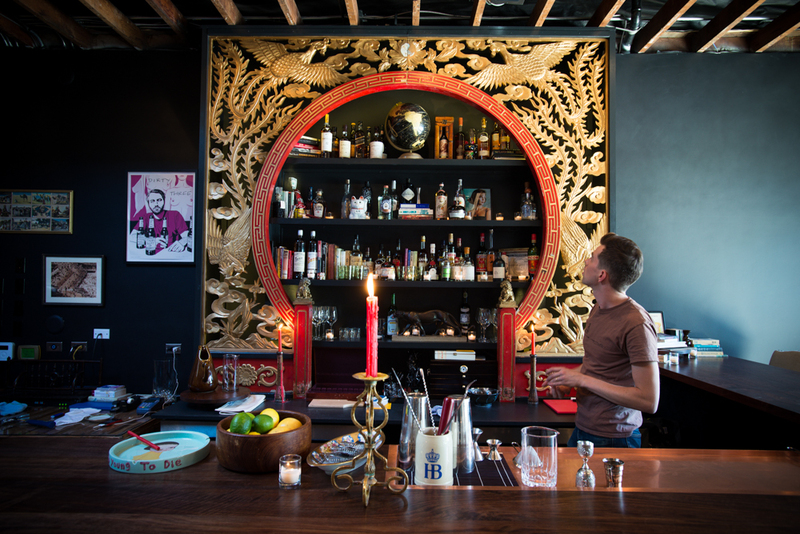 This hip bar in the Concordia neighborhood is known for their cocktails and “drinking snacks”. A walnut top bar sets the tone for this swanky space. 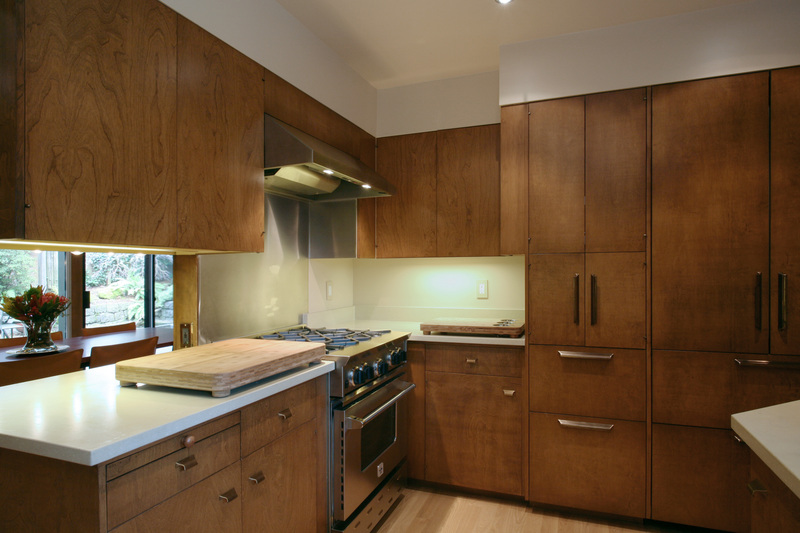 The natural wood cabinetry in this mid-century kitchen creates a warm space while the custom brass hardware adds a sophisticated touch. Design by Anne De Wolf. 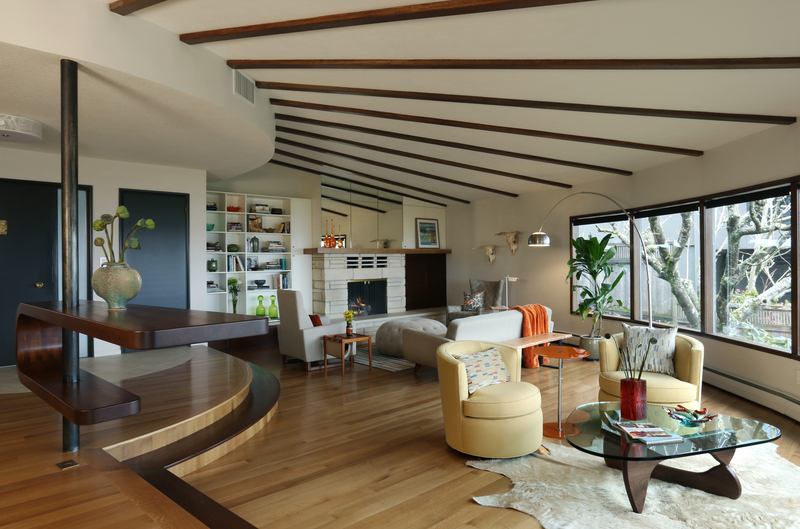 Veneer is a good option for creating a mid-century appropriate wood feature in your home. 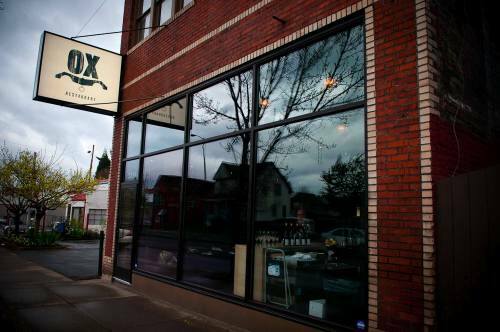 There are a few local options: Goby, Crosscut Hardwood, Rockler Woodworking and Hardware. Add personality to your space by incorporating a favorite piece, whether it’s from a trip or just because it looks cool. 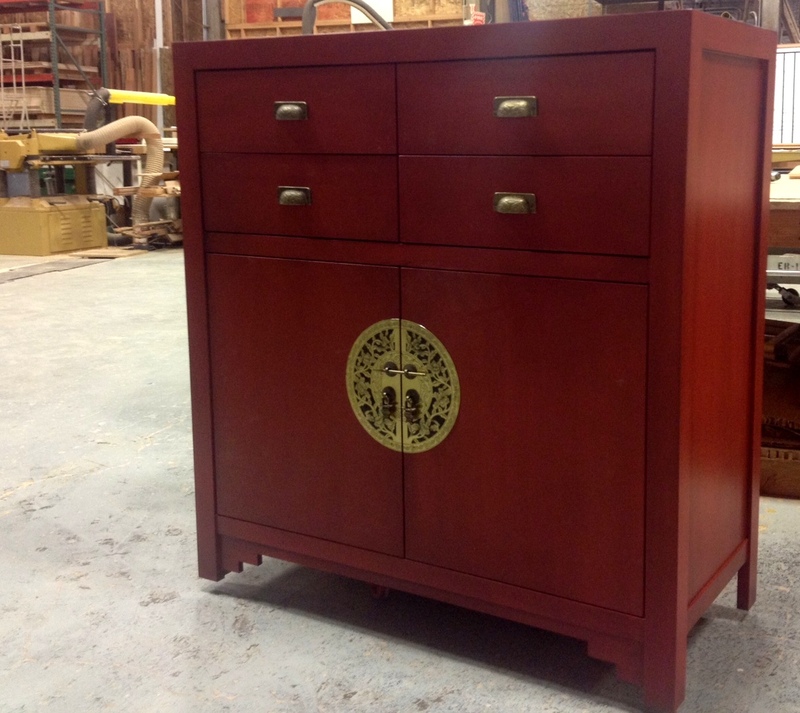 Versatile Wood Products created a custom Tansu chest for a client. Whether you picked up a special piece on a recent vacation or have a family heirloom to incorporate, personal touches go a long way in a space. Replicas are always an option too, the Versatile Wood Products Custom Design Team can make your dreams come true. 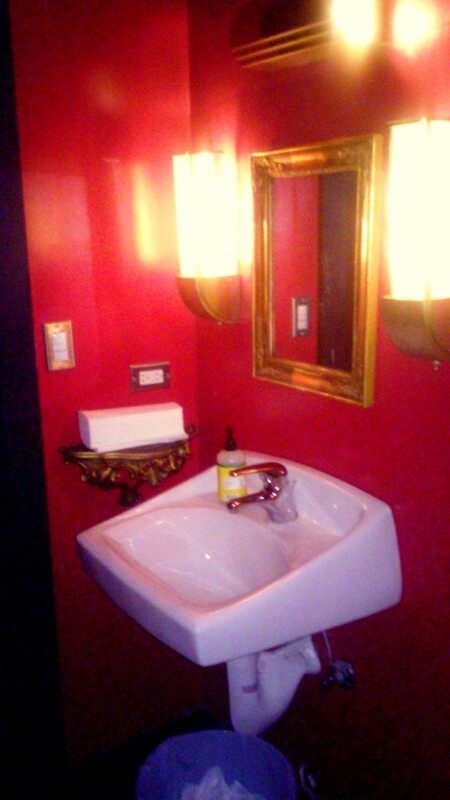 Sometimes the bathroom facilities offer inspiration. Have a bold personality? Match it with a paint color! 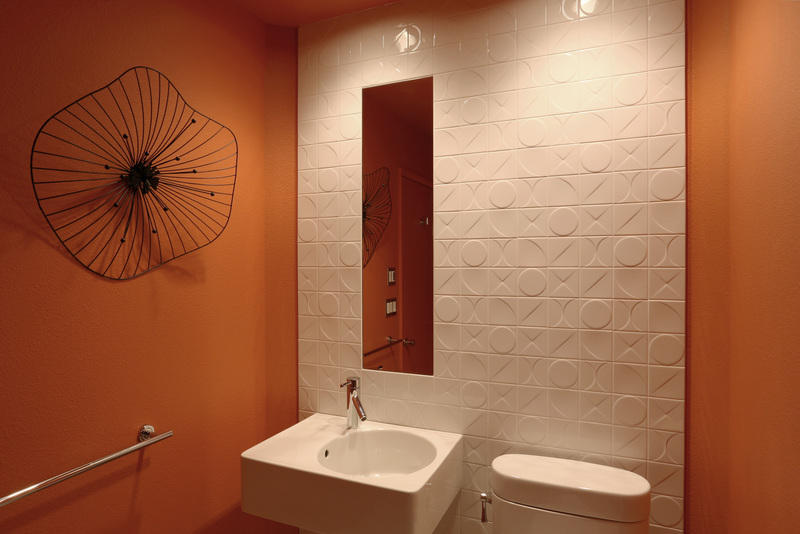 The vivid orange red in this mid-century guest bath makes a small space really pop. Design by Anne De Wolf. Paint options are endless! Farrow & Ball is a great place to find some paint inspiration. Time to choose: which style gets your vote? Pick one and tell us in the comments! 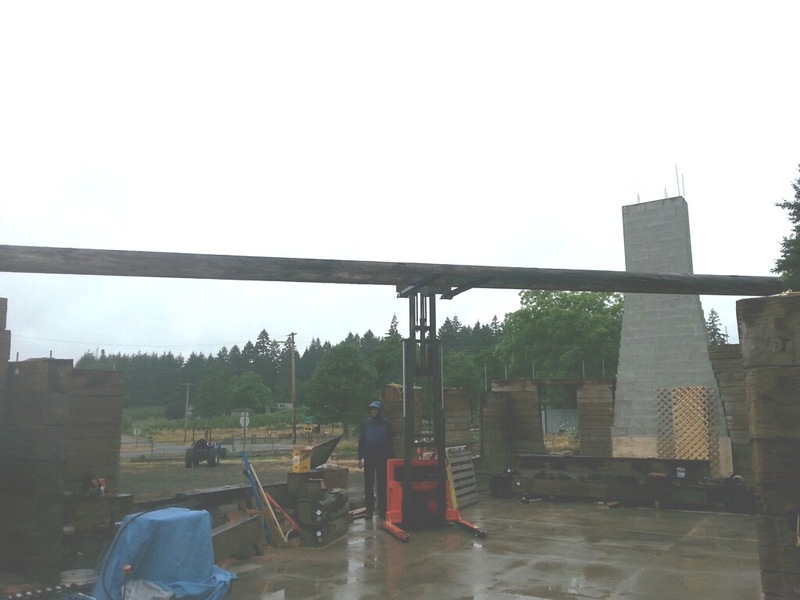 Devin started his carpentry career while in high school, working for his father’s construction company in Pendleton, OR, where he became familiar with all forms of hand and power tools in their large workshop. 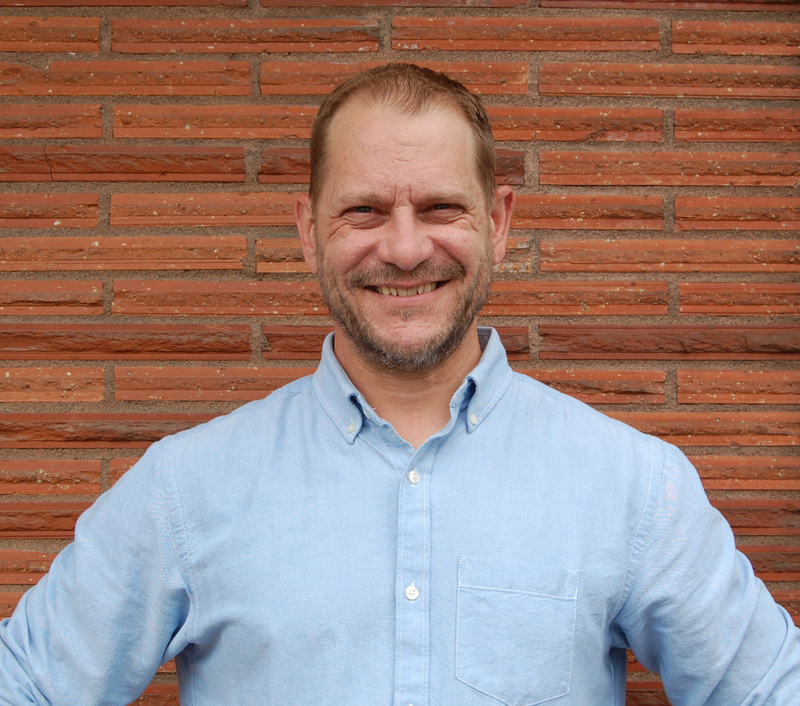 He became licensed in 1984 as part of Eastern Oregon Building Enterprises. In 1995 Devin moved to Portland to pursue his music career, which took off and sent him all over the country touring and playing rock and roll music to the masses. After many years of the rock and roll lifestyle he returned to construction starting Morrow Building in 2004. 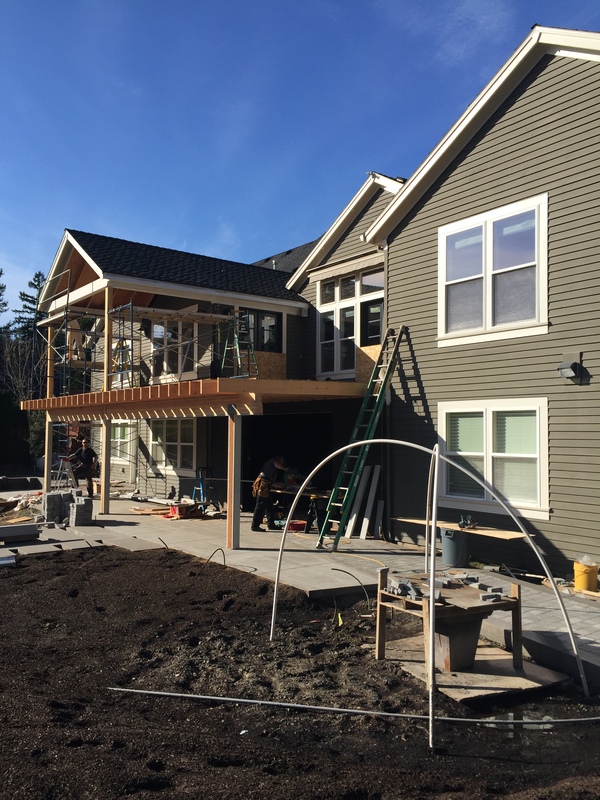 When the recession took hold in 2009 he bounced around looking for an opportunity to work with a great high-end remodeling company and found Arciform! How long have you worked for Arciform and what has been your favorite part about working at Arciform so far? I’ve been with Arciform for 5 years now. My favorite part about working for Arciform is the opportunities that I have been given to work on rare historical structures that few get the chance to be part of. Gallon House Covered Bridge, Champoeg State Park Pavillion, Coleman Scott Residence. It was a privilege to be site lead on those projects. 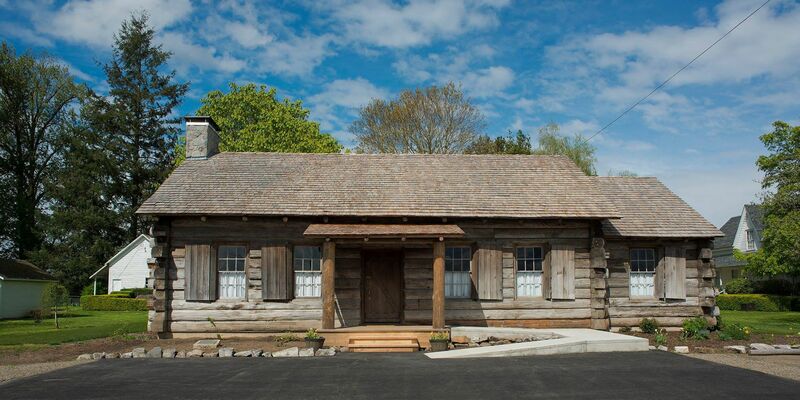 Restoring historical structures to me is some of the most rewarding work a carpenter can do. 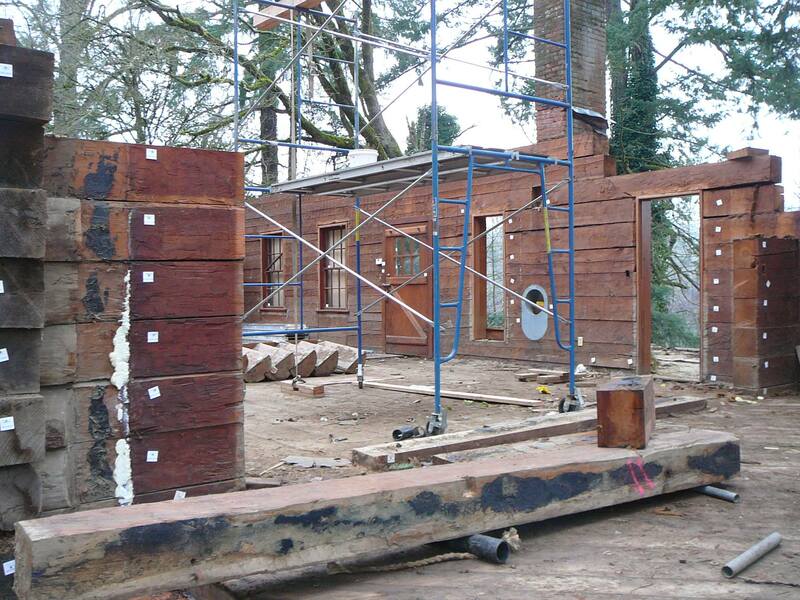 I had been exposed to this aspect of remodeling from early on, working on old farm houses outside of Pendleton, OR. That experience drew me towards this kind of work. My favorite past project is the Gallon House Covered Bridge. I had the privilege of removing the original, almost 100 year old, roof structure and replacing it with a new up to date, structurally sound roof. The challenges were constant inspections from Marion County; a qualified drinking water stream running under the bridge that no debris whatsoever could touch; a very old structure that had been knocked off its abutments 2 or 3 times in its life that was poorly repaired, cobbled back together crooked and bent; farmers crying daily about how inconvenient it is to not have that bridge to cross as they use the bridge multiple times a day tending their crops; and the dozens of tours that had scheduled themselves to come see the bridge only to find it under repair and no access granted. All part of a days work on the bridge. Tell us what you consider are the hallmarks of a well-executed project. How do you know when something is right? 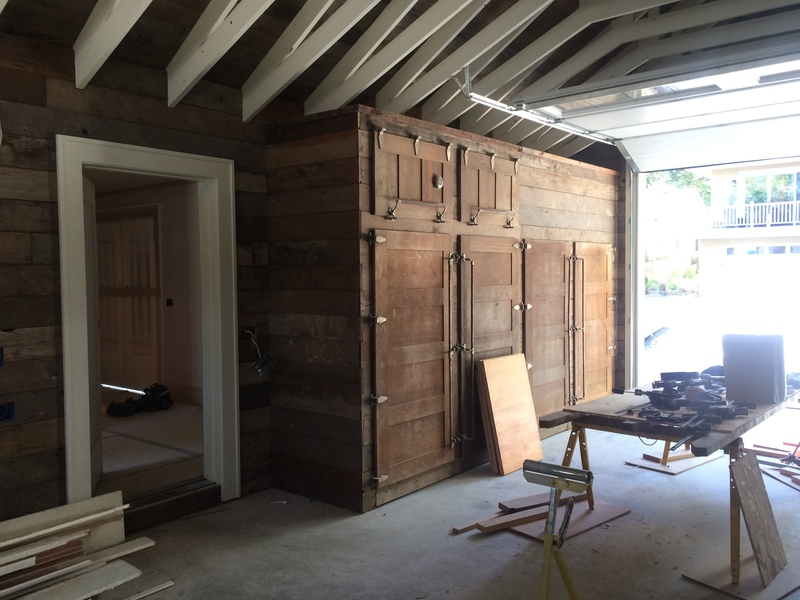 I consider happy clients, a beautiful job, proud carpenters and profit to be the hallmarks of a well-executed job. A job is well done when it looks like you hoped it would and only see smiles when your client sees it. I like to work as a team with my clients. I always try to see their vision and create that for them. This is the first round of our Steal this Idea! Summer Design Contest. 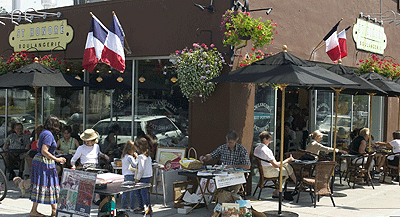 Each week we will spotlight a few pairs of restaurants from a different Portland neighborhood. 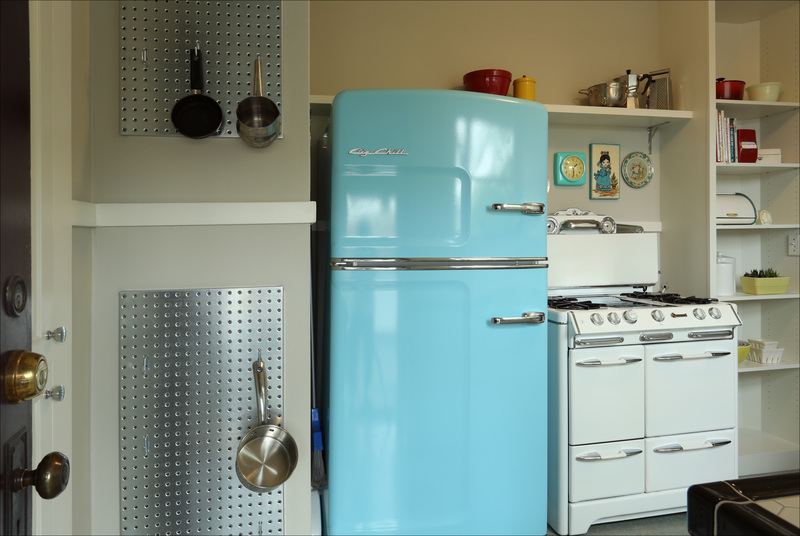 Each post will highlight stealable ideas for your own home. First up, rustic Ox will battle it out against eclectic Broder Nord! 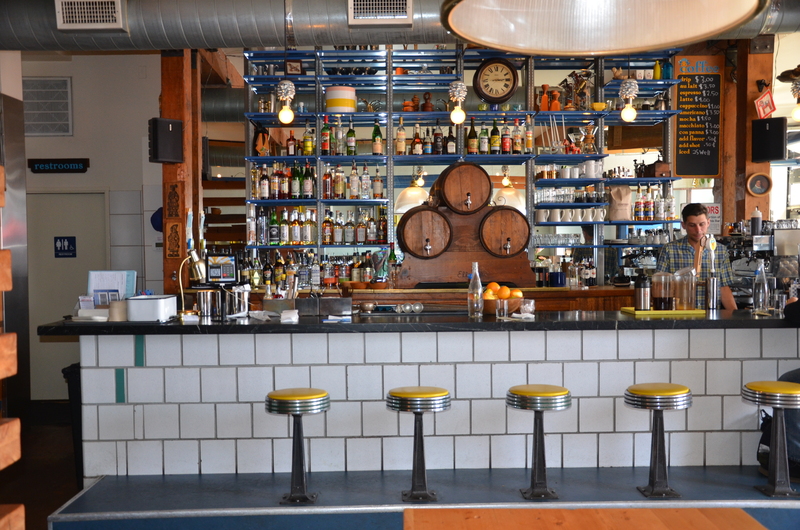 Located in the Eliot neighborhood, the Argentinean-inspired NW fare is cooked on a wood-fired grill. 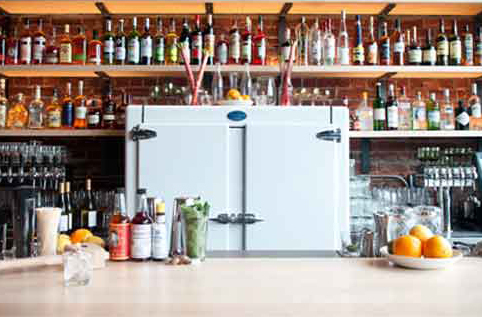 One of Arciform’s favorite retro refrigerators is Big Chill. Available in a number of sizes and colors. 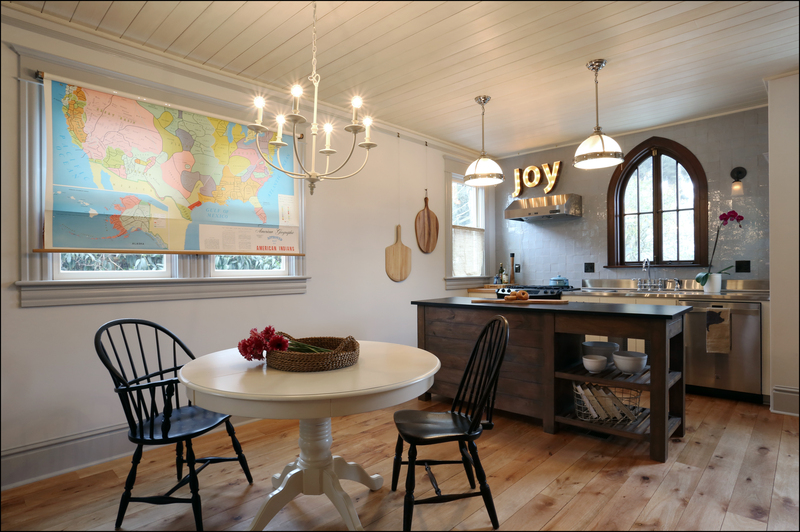 Light fixtures can help to achieve the look and style you’re after which is why we love these sleek globe pendants. A similar item can be found at Rejuvenation. 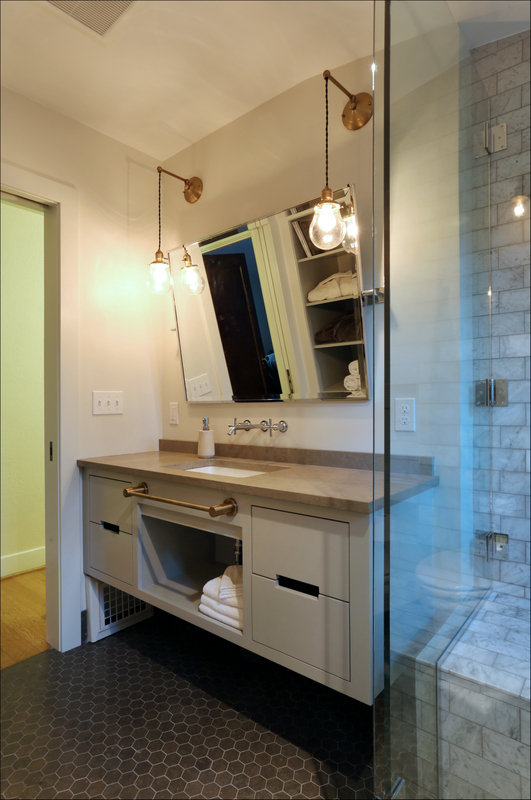 A perfect frame for the vanity, these custom globe pendants fit perfectly in this sleek bathroom . Design by Kristyn Bester. Photo by Photo Art Portraits. We love these wide-plank floors because they look like they’ve always been here and give the space a rustic vibe. 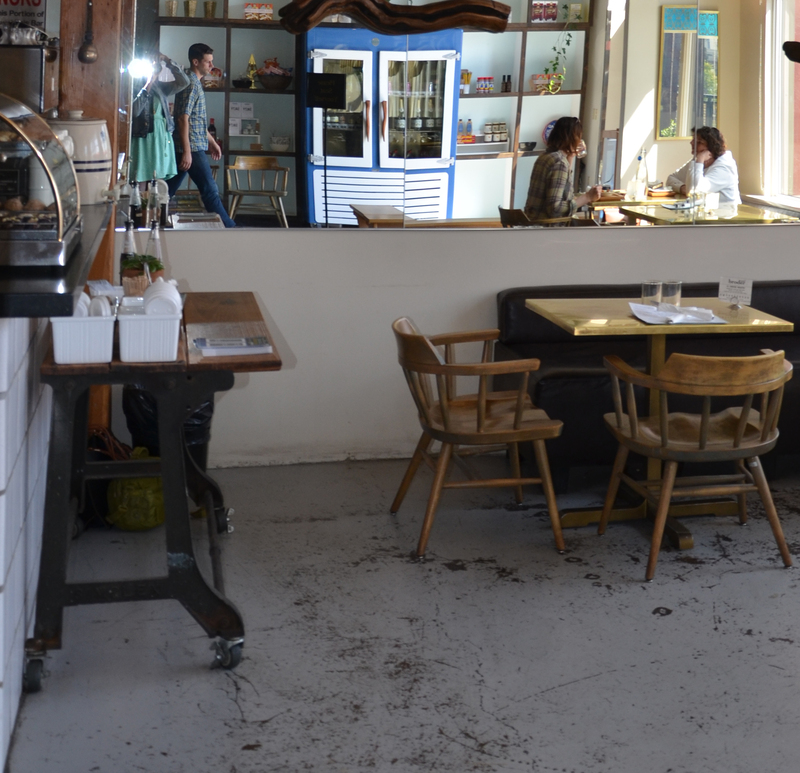 Pioneer Millwork here in Portland is a good option for your salvaged flooring needs. 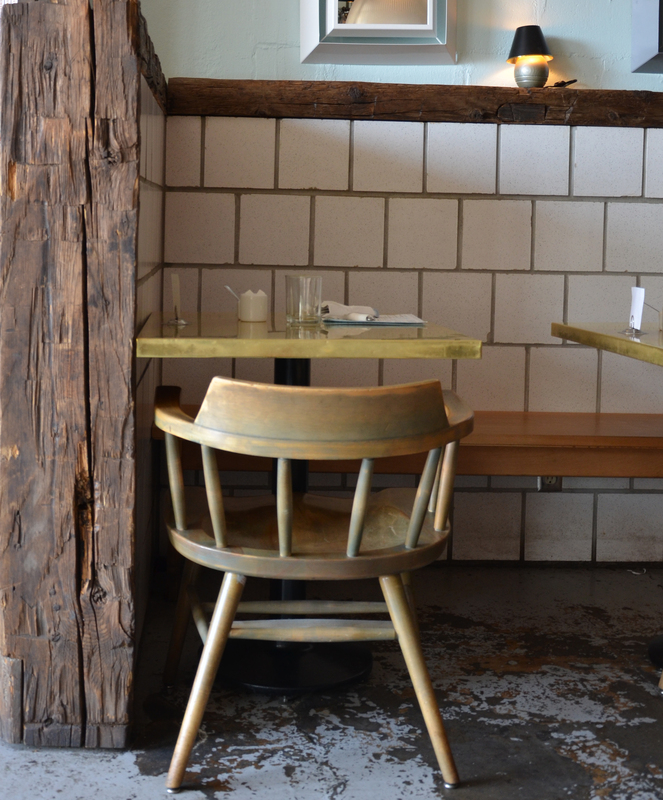 Also in the Eliot neighborhood, this Swedish inspired spot is a popular brunch destination. Concrete flooring is a great option for a heavy traffic area as it extremely durable while giving off an industrial yet modern vibe. 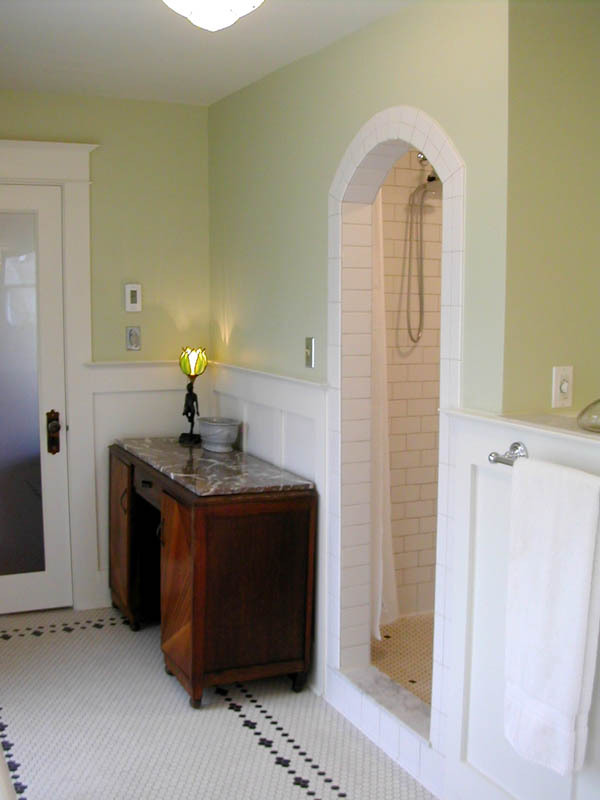 A concrete floor was a given for easy maintenance in this 1924 basement wet room. It also allowed for extra, much needed headroom for this tall client. Design by Kristyn Bester. Photo by Photo Art Portraits. 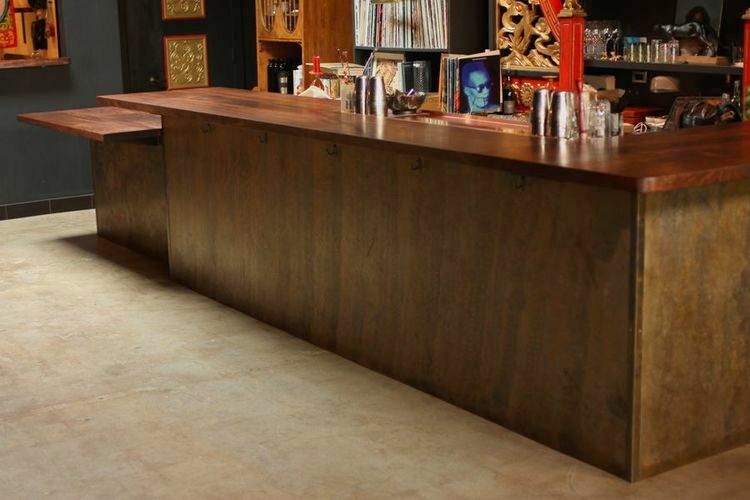 A polished, stained or painted concrete floor makes for easy maintenance and gives a modern feel to the space. Finishing products can be found through most large paint retailers. 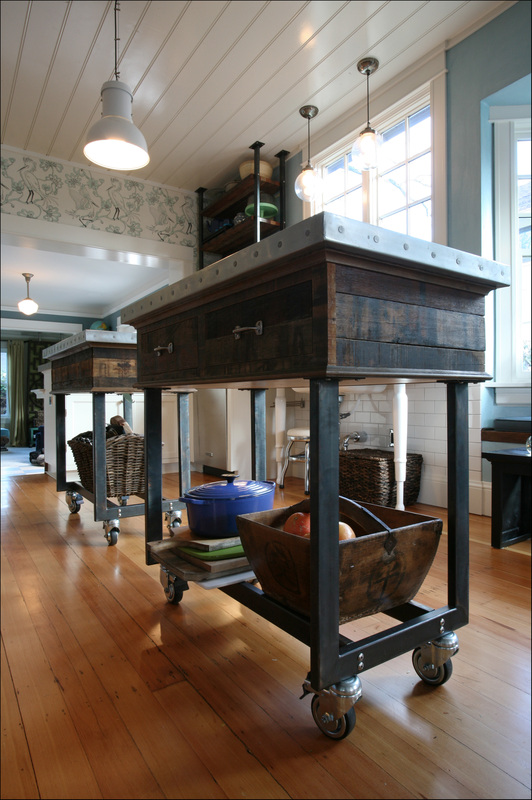 Here at Arciform, we LOVE salvaged materials which is why we like this vintage prep station. 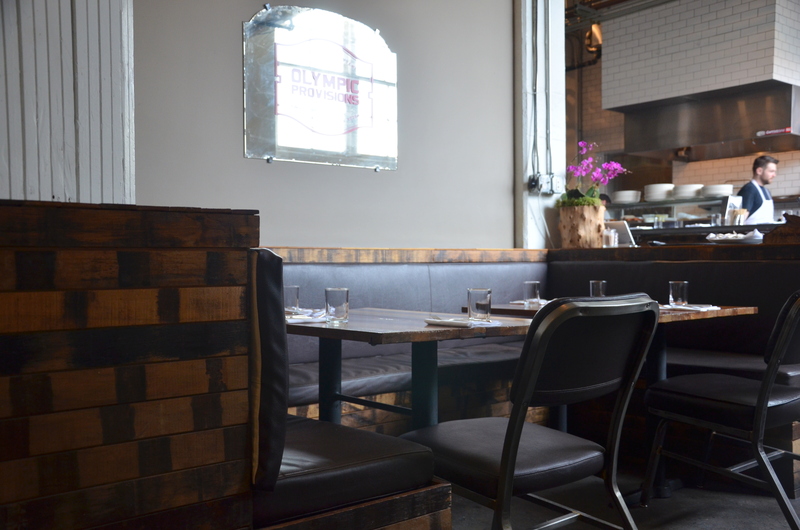 The salvaged metal frame was updated with a custom butcher block counter and wood shelving. Design by Anne De Wolf. Photo by Photo Art Portraits. Do you have a special vintage or salvaged piece that needs some updating? Versatile Wood Products‘ custom shop can fulfill just about all of your custom woodworking needs. 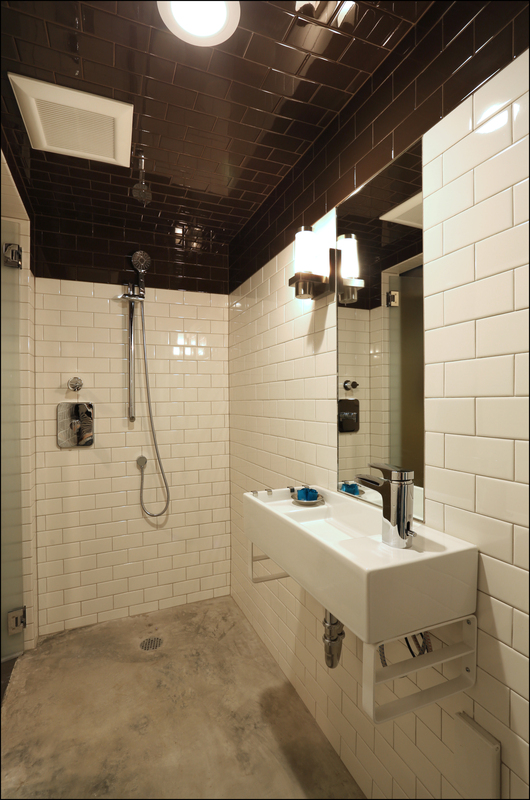 A simple brick-set subway tile is classic yet sophisticated, always a great option for that timeless look. 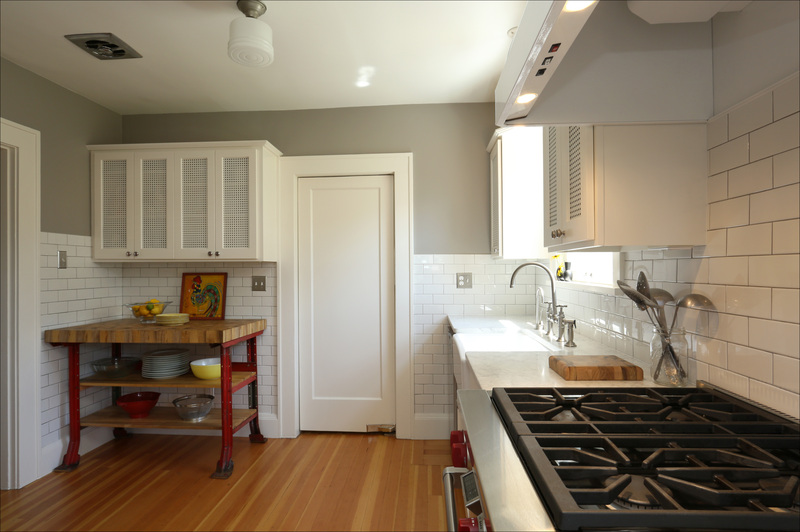 A simple brick-set subway tile is a perfect fit for this 1912 kitchen. Design by Chelly Wentworth. Photo by Photo Art Portraits. There are so many options when it comes to tile, but one of our favorites is the Rittenhouse Square from Daltile. Which restaurant’s style would you steal? Choose one and tell us why in the comments below. 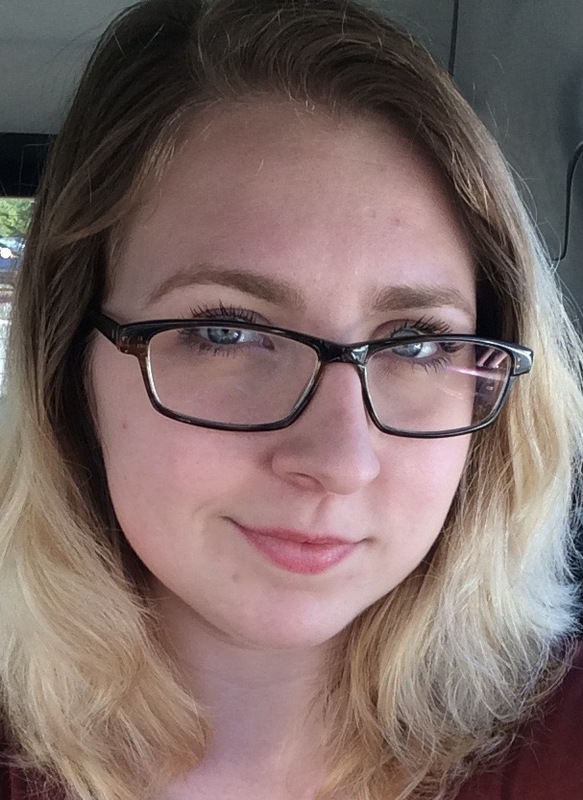 Tara is one of three new Junior Designers, she joins us from Portland Community College’s Residential Architectural Design and Drafting program. With an Associate’s Degree of General Studies, she is finishing her Associate’s Degree of Applied Science, as well as a one-year NKBA-accredited Kitchen and Bath Design Certificate. Prior to Arciform, Tara primarily worked in retail and customer service. Most recently, she was able to gain some experience in the field through a local design start-up at which she worked as a freelance drafter. Her primary duties were Revit drafting and office management, and regularly worked through design issues and complications with the owner. Their primary concentration was a residential development in Sweet Home, but also had several remodel projects coming in. I have had an interest in architecture since childhood. I was fortunate enough to spend some time in Europe during my Freshman and Sophomore years of high school, as my father worked for a German-based company at the time. During those years, I was fully immersed in – and enamored with – the rich culture and history of the villages and cities that I visited throughout Europe. It was through this experience that my love of architecture was born. 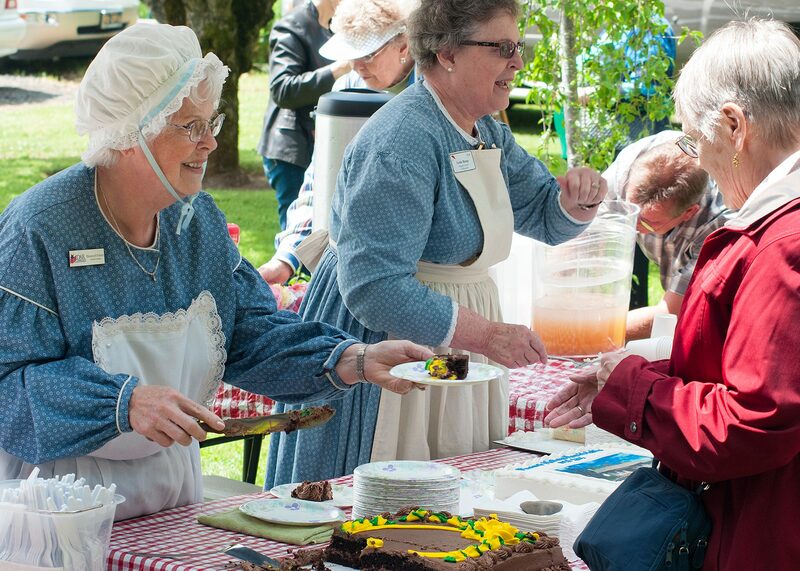 Upon returning to the States, however, I was pulled away from this passion for various reasons. It took five years and a cross-country move for me to rediscover my passion for architecture and design. It was then that I began attending classes at PCC, and I’ve been hooked ever since. I have not yet had the opportunity to work on a built project. However, one of my favorite design experiences through school was the Residential Design Studio. This studio was the first opportunity to create an entire project from its inception all the way through to a Construction Document set. It was my first exposure to what the process is like from start to finish, and resulted in a portfolio piece of which I am quite proud. I am very passionate about blending form and function. I value efficiency in design very highly, so for me a project doesn’t feel quite “right” if there are redundancies or unnecessary elements present. I tend to design functionality first, and then add decorative and finishing elements once I am sure that the design works at its most basic level. This has caused me a lot of headaches, but has also forced me to really think about what I want my design to accomplish before spending too much time on something that may not work. I tend to be a bit of a loner, however I greatly appreciate and value having a team of people I can approach with questions or issues when they do arise. My position with Arciform is my first opportunity to really work in a team atmosphere and with real projects, so I have not yet had the opportunity to determine my way of working with a client. I’m looking forward to figuring that out as I grow here. Travel the world. 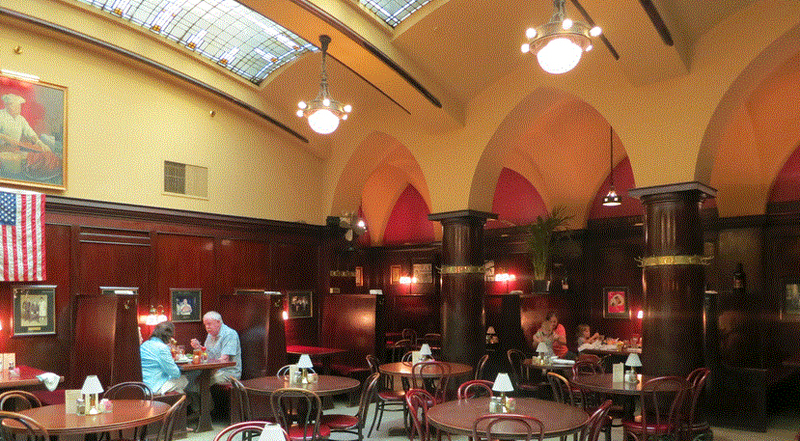 I have wanted to return to Europe since the moment I left, and there is so much more I want to see. Design and build my dream home. Preferably multiple homes, actually; one in the city, one in the countryside, one on the beach. Go skydiving/base jumping/bungee jumping at least once. I’ve just always wanted to experience something like that. 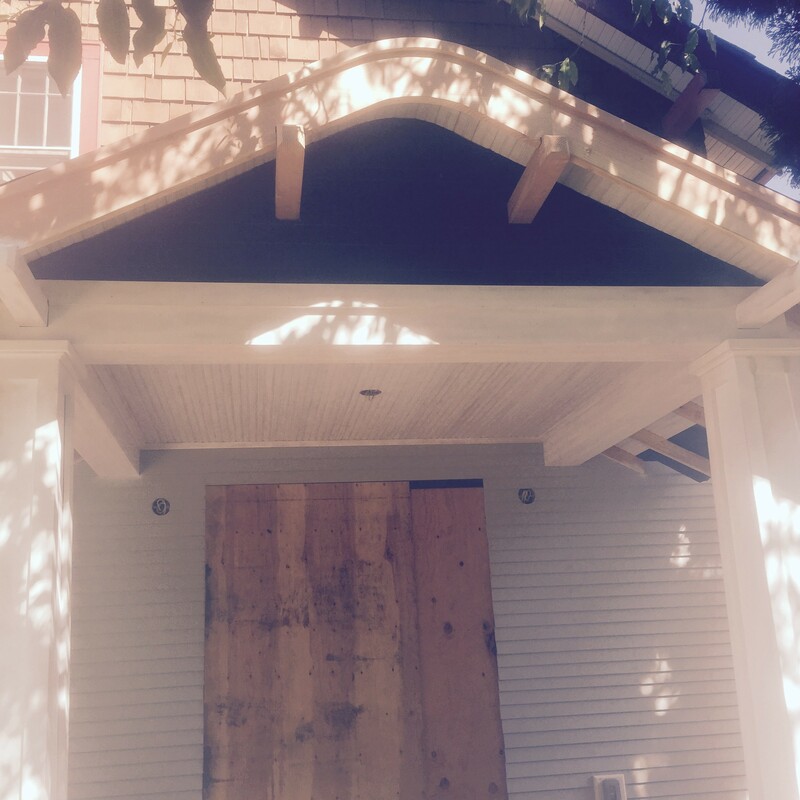 And this historic Corvallis home is getting an updated entry to match the existing back entrance. Other projects in the works include a hillside mid-century master bath, a NE addition and updated kitchens around the city.